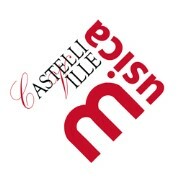 BODYPERCUSSION SEMINAR (BAPNE METHOD) CASTELLI E VILLE IN MUSICA 2015 is a travelling classical and baroque music festival that takes place in some of the most beautiful historic buildings of the foothill areas of Veneto. BAPNE® is the acronym for: Biomechanics, Anatomy, Psychology, Neuroscience and Ethnomusicology. All these disciplines are combined and developed during the activities proposed. Each activity has its focus on the development of the Multiple Intelligences through the bodypercussion practice, which also can be used for therapeutic purposes. The final aim is to make lower limbs become independent from upper limbs and from verbalization skills. During a standard bodypercussion BAPNE® group session, participants beat their own bodies executing different movements and thus stimulating the different cerebral lobes... and having fun! Sunday 11th October: from 09:00 to 13:00 and from 15:00 to 19:00.